The update includes changes made to the Chrome version of the app before Christmas, and one of the most visual changes is the addition of ‘typeahead’ when searching, to offer predictions for what you’ll be writing. This also acts as a people search, giving you a list of accounts in your Twitter community that match the text entered. For those who monitor multiple busy feeds, a performance upgrade will improve the way the app handles these. More minor, but welcome, tweaks include an option to grab the embed code for a tweet right from the app – especially useful for journalists and bloggers. 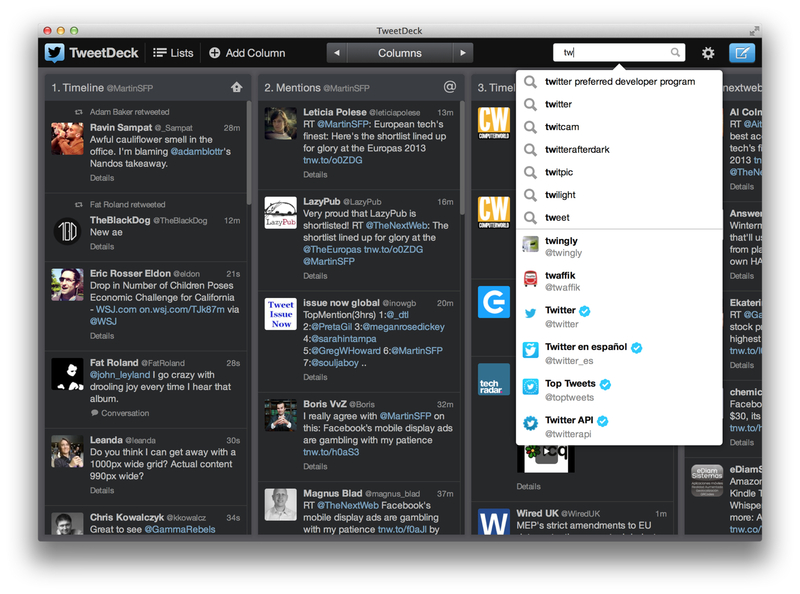 Tweetdeck is a free download from the Mac App Store.